In honor of its 100th season, the NHL created a list of the top 100 players of all time. The first 33 were unveiled at the outdoor game between the Toronto Maple Leafs and the Detroit Red Wings. The second half was listed at the beginning of the All-Star Weekend in Los Angeles. 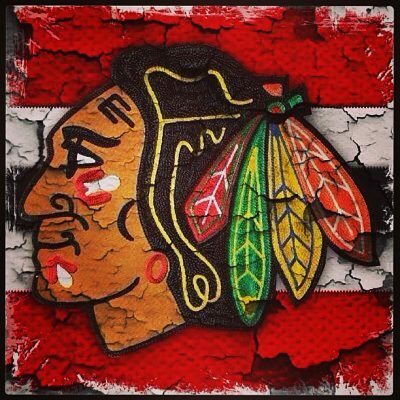 Of the top 100 players, six of them are active, and three are on the Chicago Blackhawks. Each of the six players deserves this honor. There could’ve been arguments made to add other active players, but these six will go down in history as some of the greatest the NHL has ever seen. They call him “Sid the Kid,” but Sidney Crosby is far from child’s play. Drafted first overall in 2005, Crosby has lived up to his expectations year after year. At 21 years old, he became the youngest captain to win a Stanley Cup. Crosby completely revamped Pittsburgh hockey, bringing them a championship in the 2015-16 season. The Penguins hadn’t won a cup since their back-to-back run in 1991 and 1992, and Crosby has brought them two more Stanley Cups in nine years in the league. Jaromír Jágr has been playing in the NHL longer than many active players have been alive. Drafted fifth overall in the 1990 draft, Jagr has played for seven NHL teams and currently resides with the Florida Panthers. Yes, he’s 44. But this guy is still as powerful as ever. He has scored the third most career regular season goals, right behind Wayne Gretzky and Gordie Howe. Alex Ovechkin is the biggest offensive power the Washington Capitals have ever seen. He’s led the NHL in goals six of his seven years in the league. In 890 NHL games, Ovechkin has scored 550 goals, 463 assists and recorded 1013 points. Although he has never won a Stanley Cup, it’s not really a reflection of Ovechkin. The Washington Capitals have had issues making it through the playoffs, but Ovechkin is always consistent on offense. Now, onto the Blackhawks. The three players named have been playing together since the youngest, Patrick Kane, was signed in 2007. Since then, they’ve won three Stanley Cups in seven years. Patrick Kane was a major win for the Blackhawks when he was drafted first overall in the 2007 draft. Kane’s stick handling and agility is astonishing. You could watch videos of him for hours. If you’re not a Blackhawks fan, you probably hate Duncan Keith. The same goes for Drew Doughty of the Los Angeles Kings and Ryan Kesler of the Anaheim Ducks. These guys are just so good at what they do, it’s annoying if they’re not on your team. That being said, Keith is the only one who made it on the top 100 players list. Keith brings dirty playing to a completely different level. He’s smart, tough and incredibly effective. Keith is a Conn Smythe Trophy winner and two-time Norris Trophy winner, along with his two gold Olympic medals for Canada. Captain Clutch doesn’t quite capture the essence of Jonathan Toews. He’s a natural born leader and a true talent. He doesn’t score the most goals every season, but his influence on the Chicago Blackhawks is unprecedented. Toews is the youngest captain to ever win the Conn Smythe Trophy in 2010, and he has proven to be a well-rounded player who can’t be replicated. If there was any doubt in the current Chicago Blackhawks, these three should stop that conversation. But the question remains, are the Chicago Blackhawks a dynasty? Many say they already are, but it’s likely they will need another Stanley Cup win in order to truly make a claim for that title. With the three future Hall of Famers and a loaded roster, another Stanley Cup could very well be in the cards for Chicago.